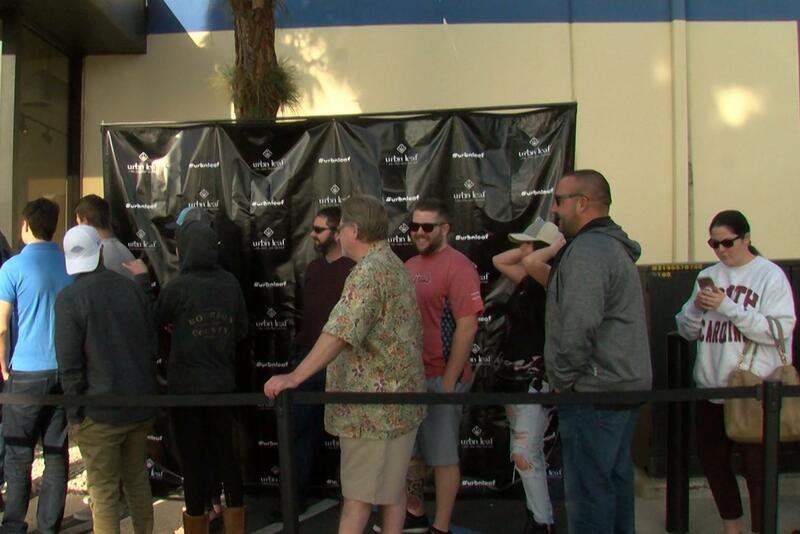 Customers line up outside Urban Leaf, a marijuana dispensary in San Diego. Steve Walsh reports that marijuana remains off-limits to service members, even in states where it's now legal. Since California legalized recreational marijuana January 1, crowds of customers have swarmed several of the state's approximately ninety dispensaries. "You can see the people who walk in the door," said Will Senn, the owner of Urban Leaf in San Diego. "It's your next door neighbor. It's your aunt. It's your grandmother." California now allows people 21 and older to possess an ounce of marijuana and grow six plants at home. But despite the new more permissive laws in California and other states, marijuana still is banned for members of the armed services. They're subject to a zero-tolerance policy. With few exceptions, being caught with marijuana or its ingredient THC in your bloodstream puts a service member at risk for discharge. "If you want to be Secretary of the Navy, if you want to make a career out of this endeavor, you cannot smoke marijuana," said Jeff Carver, an San Diego attorney and retired Navy JAG officer. He defends service members who fail drug tests. "You cannot eat marijuana brownies, and you probably can't hang out with your friends if they're smoking marijuana," Carver said. The military has a long history of grappling with marijuana. A 1973 Pentagon study found that nearly seventy percent of soldiers returning from Vietnam had smoked marijuana, while more than a third had tried heroin. In the 1981, six sailors involved in a crash aboard the USS Nimitz warship had marijuana in their system. San Diego attorney Jeff Carver represents service members who fail drug tests. The Navy did not cite marijuana as the cause of the crash that killed 14 sailors, but the scrutiny lead in part to the Department of Defense instituting a zero tolerance policy. That is pretty much where the policy stands today. In recent years, the Pentagon has looked at softening that stance, at least in small ways. In the final year of the Obama Administration, Defense Secretary Ash Carter hinted that the Pentagon was rethinking its policy that can prevent potential recruits from enlisting in the military if they've ever used marijuana in their lives. "We need to understand, and do, how people's lives have changed. Not hold against them things they did when they were younger," Carter said in a Silicon Valley speech. Last year, the Air Force eliminated past marijuana use as a criterion for baring enlistment, as long as it didn't result in a criminal penalty. 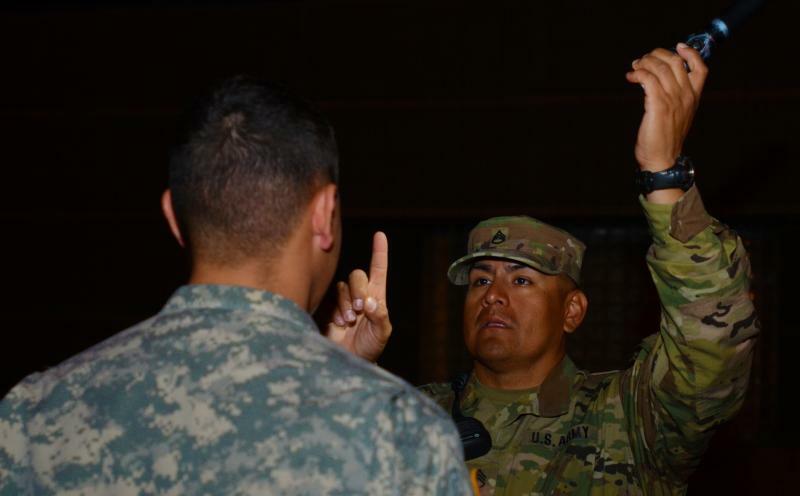 The Army and Navy still require new recruits to seek waivers if they've used drugs prior to joining, but those waiver requests no longer need to go as high up the chain of command, making them easier to obtain. 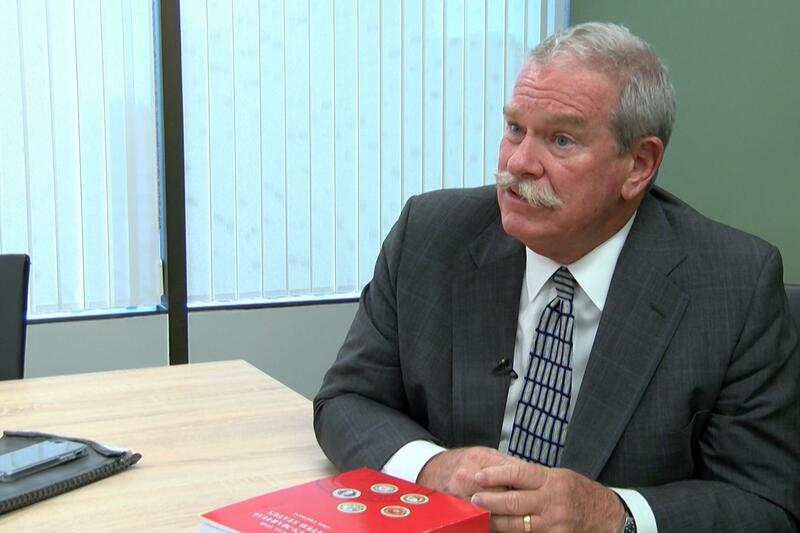 Jeff Carver, the San Diego attorney who represents military clients, says while testing positive for marijuana is still likely to get you kicked out of the Navy, most marijuana cases no longer go to a criminal trial. "There is going to be a little more give. A little more love," Carver said. "These members realize that young sailors are probably having to fend off offers of marijuana all the time. The punishment is probably becoming more liberal." Current Defense Secretary James Mattis has said little about the issue, even as the Trump Administration has pushed back against state laws legalizing marijuana use. This month, Attorney General Jeff Sessions announced that federal prosecutors are free to enforce federal laws that outlaw marijuana, even in places where state laws now allow it. That reverses an Obama Administration policy that discouraged federal enforcement. The acting commander at Naval Base San Diego issued a statement ahead of recreational marijuana becoming legal in California, restating that it remains strictly forbidden under federal law. "We continue to enforce our zero tolerance policy," the statement said. A new study suggests fear of punishment may keep soldiers from seeking substance abuse treatment. 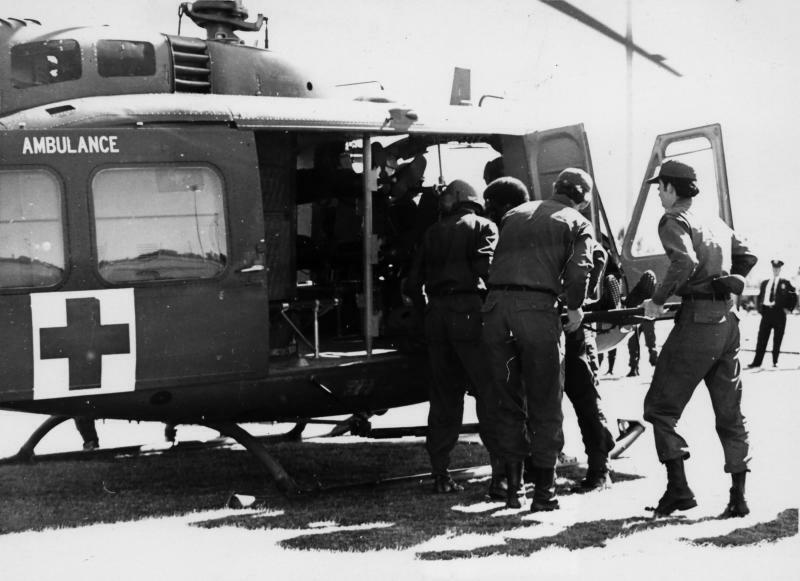 The well-equipped medevac helicopters that transported injured troops in Vietnam became the model for today's air ambulance services in the U.S.